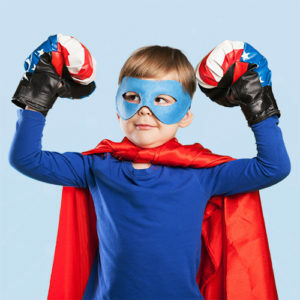 A best-practice-based 3-year roadmap for the introduction of a CX program in large organizations? Here it is! Developed with experts from all over the world, MapTrack.One shows you where to go! Measuring the right employee things! The Net Promoter Score is largely useless in the employee area. With the Great People Index, you measure employee commitment sustainably and without additional surveys. 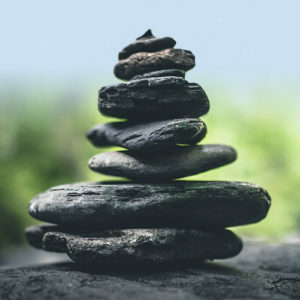 Evaluate and improve your own life balance: Developed with leading scientists, mybalance does this for the employees in your company. 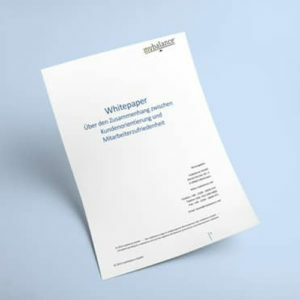 The experience5 whitepapers on Customer and Employee Experience. From Experience – With Passion! 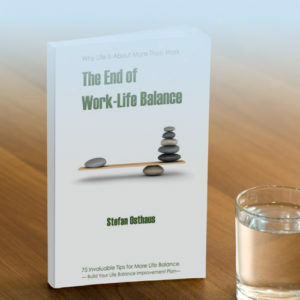 ‘The End of Work-Life Balance’ is the compilation and culmination of Life Balance founder Stefan Osthaus’ observations regarding how to achieve life balance. Need a single place for all of your project information: Objectives, calendar, action items, resources, etc.? Then you might find our free Master Project Document useful!